Looking for Salt Water Pools in Australia? Many of them belong to gyms or sport centres which also give lessons. Not all countries would be the same, and swimming regulations and rules are changing from one country to an additional. These would be the Swimming Pools other users have reported. Are you a local and your pool just isn't listed? Contact us to ADD IT. It's free! Traveling to Australia? This can be the right spot on the internet to locate places to swim in Australia. Every day you are not swimming you're losing precious time to improve your skills a be a much better swimmer! No more excuses!. Swimia.com needs your feedback to ensure all of the information and facts is valid, because maybe this pool is no longer open to the public. Please check the nearest Salt Water Pools in Australia or Contact us to ADD IT. It's totally free! Without a shadow of a doubt, swimming in Brisbane is the best way to unwind right after work. Take a couple of minutes to browse Swimia's catalog to find a Pool in Brisbane. It's difficult to visit Australia without dropping by Melbourne (with 3.730.206 residents). 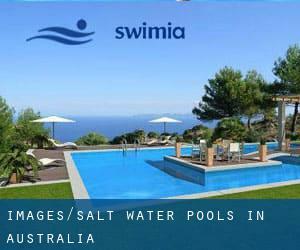 Presently Swimia is showing you all of the Pool in Melbourne and the closest pools situated in its vicinity. Let us tell you a secret to switch off whilst you might be in Sydney: just choose a Swimming Pool in Sydney and plunge into the water! There's no more productive process. Swimming is a excellent thought to keep your body active during your visit to Perth (Australia), or even for anyone who is a local. 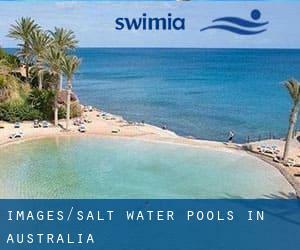 Swimia helps you to locate your closest Swimming Pool in Perth. Hallidays Point Road , Hallidays Point , NSW (Postal Code: 2430). Among all the activities offered by the centre, when you are enthusiastic about swimming you'll enjoy 100 feet x 30 feet, Salt Water, Outdoors. Pittwater Road , Collaroy , Sydney Metropolitan Area , NSW (Postal Code: 2097). This sports centre gives Olympic size, Salt Water, Outdoors. For this Pool, only phone number is number here. Bronte Road , Bronte , Sydney Metropolitan Area , NSW (Postal Code: 2024). Swimmers like you reported 30 meters, 4 marked lanes, Salt Water, Outdoors. Unfortunately we do not have the email address of this Swimming Pool, but we can give you the phone number. Updated on 2019 4 Alfred Street South , Milsons Point , Sydney Metropolitan Area , NSW (Postal Code: 2061). Swimmers like you have reported Olympic size, 8 lanes, Salt Water, Outdoors. Also, you will find 25 meters, 6 lanes, Salt Water, Non-Chlorine Sanitized, Indoors. Just in case you would like to get in touch with this Swimming Pool prior to dropping by, we only know the phone number. Cliff Road , Wollongong , Wollongong Metropolitan Area , NSW (Postal Code: 2500). Few days ago a regular user of this centre told us they offer Olympic size, Salt Water, Outdoors. Furthermore, they keep in good conditions Olympic size, Salt Water, Outdoors. For this Swimming Pool, only phone number is number here. The Esplanade , Thirroul , NSW (Postal Code: 2515). Among all the activities offered by the centre, when you are interested in swimming you might enjoy Olympic size, Salt Water, Outdoors. Just in case you want to contact this Swimming Pool before dropping by, we only know the phone number. Towradgi Road , Towradgi , Wollongong Metropolitan Area , NSW (Postal Code: 2518). Swimmers like you reported Olympic size, Salt Water, Outdoors. Unfortunately we do not have the email address of this Swimming Pool, but we can give you the phone number. Updated on 2019 At the corner of Wecker and Newnham Roads , Mansfield , Brisbane Metropolitan Area , QLD (Postal Code: 4122). Among all the activities offered by the centre, if you are considering swimming you will enjoy 25 meters, Salt Water, Outdoors. Just in case you would like to contact this Pool before dropping by, we only know the phone number. Hill Street , Waroona , WA (Postal Code: 6215). Swimmers like you reported 25 meters, 6 lanes, Salt Water, Indoors. Phone number and e-mail address are number for this Swimming Pool. Robert Cram Drive , Bellambi , Wollongong Metropolitan Area , NSW (Postal Code: 2518). Among all the activities provided by the centre, if you are thinking about swimming you will enjoy Olympic size, Salt Water, Outdoors. Just in case you want to contact this Swimming Pool before dropping by, we only know the phone number. 141 Mountain Hwy , Wantirna , Melbourne Metropolitan Area , VIC (Postal Code: 3152). Swimmers like you reported 25 meters, 4 lanes, Salt Water, Indoors. Unfortunately we do not have the email address of this Swimming Pool, but we can give you the phone number. Oaks Avenue , Dee Why , Sydney Metropolitan Area , NSW (Postal Code: 2099). Swimmers like you reported Olympic size, Salt Water, Outdoors. Unfortunately we do not have the email address of this Swimming Pool, but we can give you the phone number. Clarence Street , Yamba , NSW (Postal Code: 2464). Among all of the activities offered by the centre, if you are considering swimming you are going to enjoy 33 meters, Salt Water, Outdoors. Just in case you desire to get in touch with this Swimming Pool before dropping by, we only know the phone number. Mrs. Macquaries Road , The Domain , Sydney Metropolitan Area , NSW (Postal Code: 2000). This sports centre offers 50.15 meters, 8 lanes, Salt Water, Outdoors. For this Swimming Pool, only phone number is number here. Marine Parade , Maroubra , Sydney Metropolitan Area , NSW (Postal Code: 2035). Among all the activities offered by the centre, if you're interested in swimming you will enjoy 33 meters, Salt Water, Outdoors.